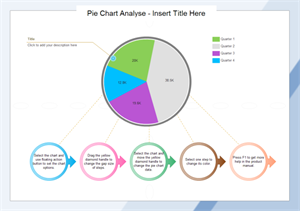 A ready-made pie chart template is available to download and customize, which you can use in presentations, webpages or other documents. You can save many hours in creating great pie charts by using this ready-made template together with abundant built-in pie chart symbols in Edraw. Download and modify this template for your own use. 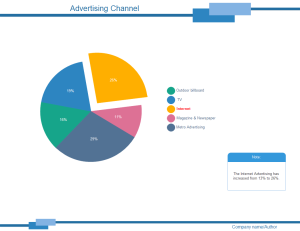 Another pie chart example is provided with refined appearance and quality content. It's available for anyone to download and use. Nice pie chart example available to download and edit for your own use. 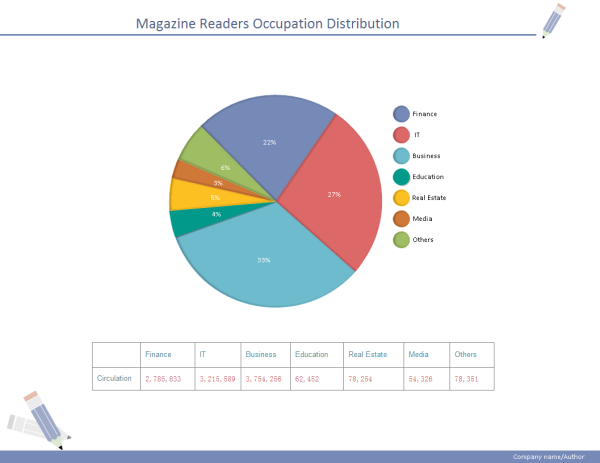 Discover why Edraw is an excellent program to create magazine distribution pie chart. Try Edraw FREE.